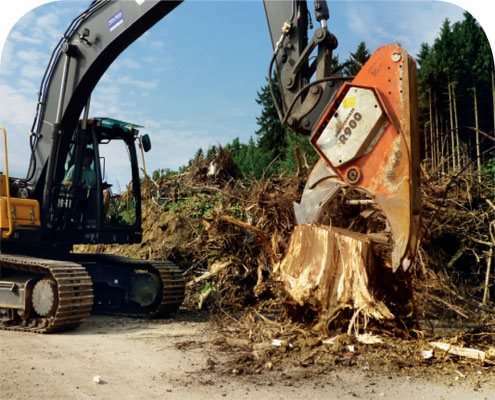 Welcome to the world of Westtech! 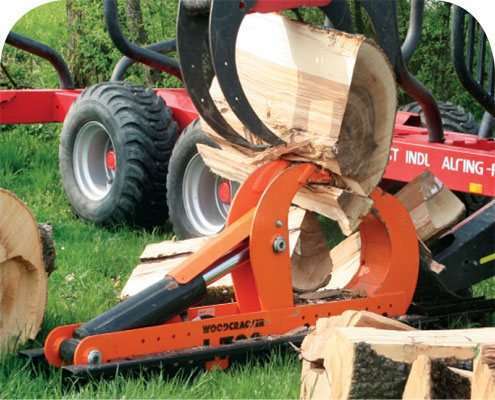 The wood splitting tongs to split thick trunks. 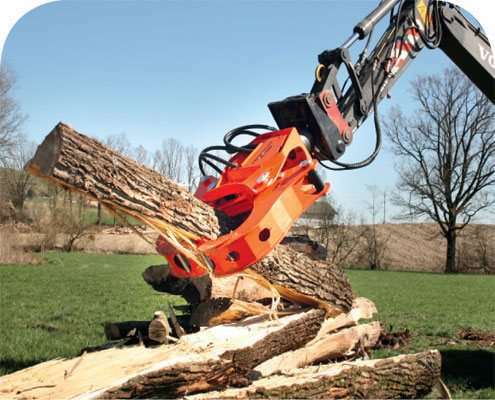 The root stock clearing device for harvest and preparation of biomass from root stocks. 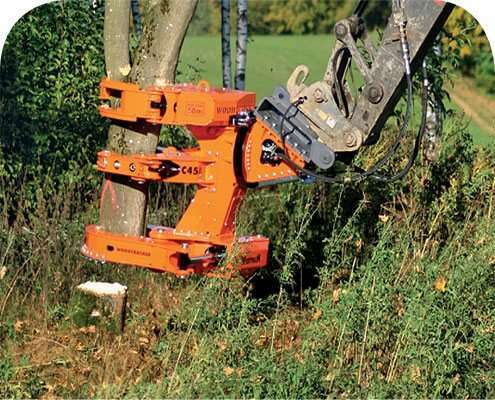 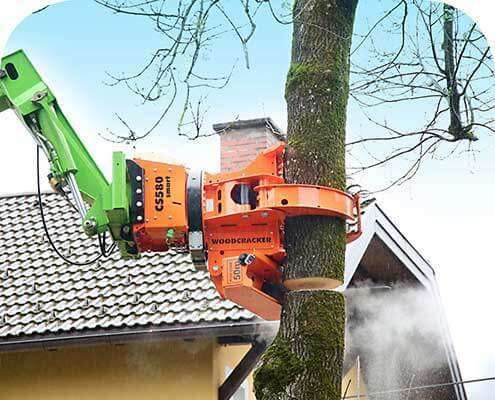 The grapple saw for intelligent attachment to roto-telehandlers or excavators. 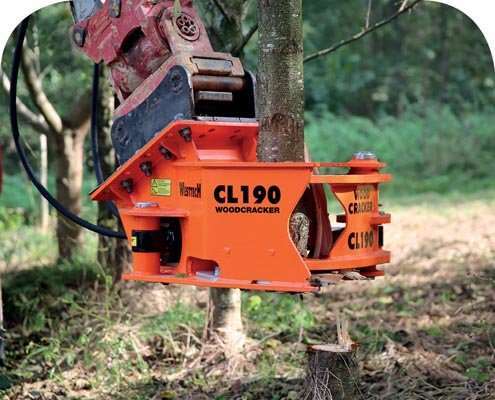 The compact wood splitter to split thick trunks. 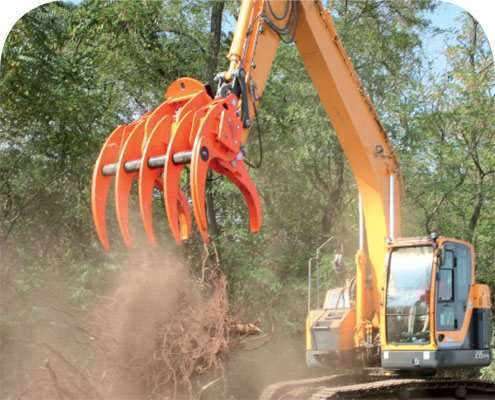 The clearing rake to prepare tree cuts and materials on the forest floor.